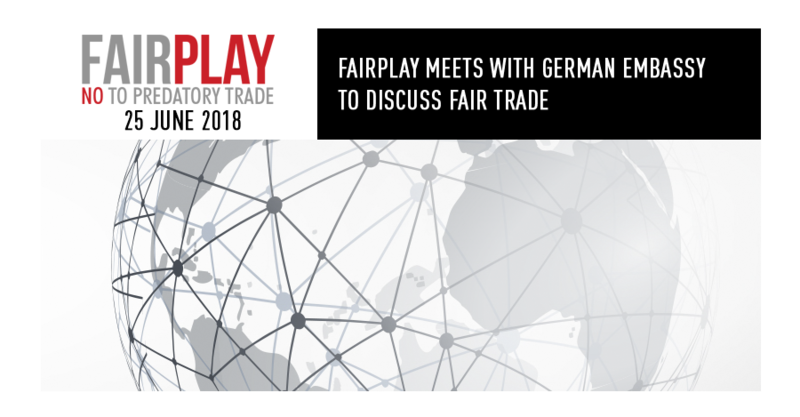 Francois Baird, founder of the FairPlay Movement, met with Erik Schneider, Head of Agriculture at the German Embassy this week to discuss amongst other things, the challenges and opportunities of the South African sugar and poultry industries with an eye on the Cotonou negotiations that will take place in September. 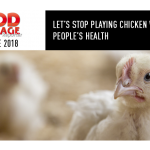 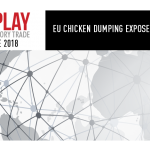 Amongst EU countries, Germany leads in recognizing the plight of the poultry industry in particular and the need to align European international development policy with the UN’s Social Development Goals. 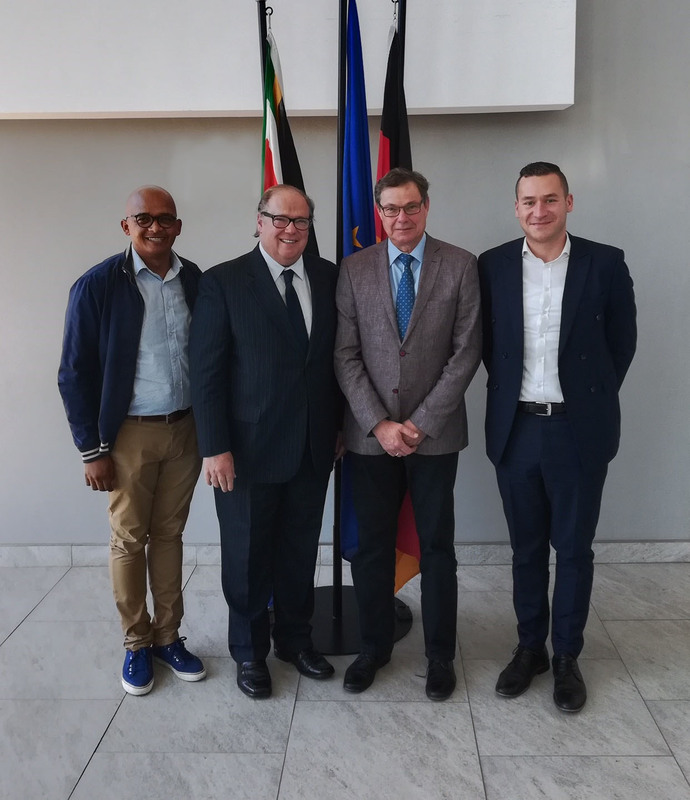 Left to right: Lionel Adendorf, Francois Baird (Founder of FairPlay) Erik Schneider (Head of Agriculture at the German Embassy) and Maximilian Berger ( Executive Officer in the Division for Agricultural Affairs) at the German Embassy.